Martha Berry thanks Robert Maddox for pledging $1,000 to the Georgia Drive for Berry. 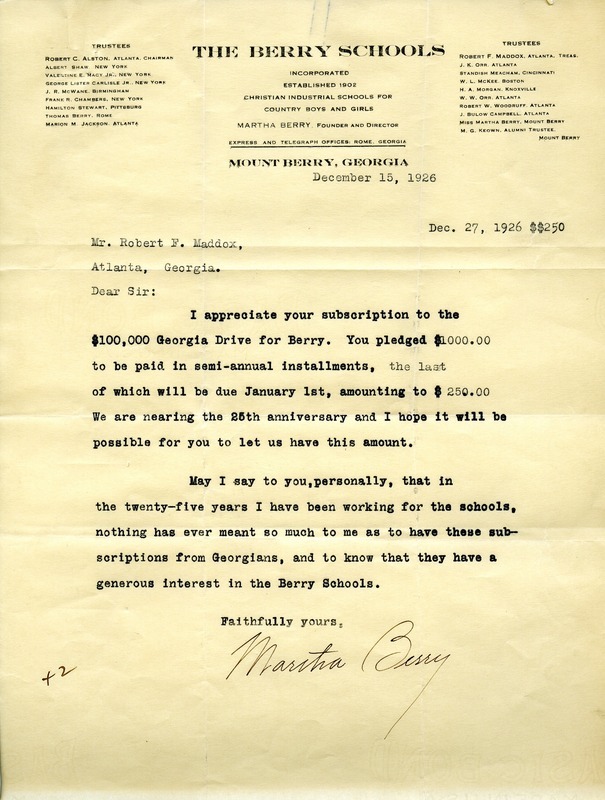 Martha Berry, “Letter to Robert F. Maddox from Martha Berry.” Martha Berry Digital Archive. Eds. Schlitz, Stephanie A., Chelsea Risley, Emilee Sargent, Amanda Mays, et al. Mount Berry: Berry College, 2012. accessed April 24, 2019, https://mbda.berry.edu/items/show/2074.